Ultra Dry Eye TG — OcuSci Inc.
Ultra Dry Eye - Caught Wild in Alaska! Not only does Ultra Dry Eye TG relieve your dry eye symptoms our unique anti-inflammatory and antioxidant formula reduces inflammation and helps reduce the risk of developing Macular Degeneration and Nuclear Cataracts! Also available in our mini-size, easy to swallow Ultra Dry Eye TG with Vision Guard is 50% smaller than standard fish oil pills. Improve Dry Eye symptoms in 30 days - money back guarantee! Half-size softgels, 50% smaller than standard fish oil softgels. No fish burps or after-taste guaranteed! Includes the highest absorbable forms of both Vitamin D3 and B12 (methylated for superior absorption) shown to decrease your risk of developing Macular Degeneration and Cataracts. To Treat Dry Eye Syndrome I use the Dry Eye Compress and Ultra Dry Eye TG exclusively in my practice. Just 3 pills a day and only 30 seconds in the microwave provides 5 minutes of moist heat to the eyelids. 1. This product actually works!! Start Relieving Your Patient's Dry Eye Today! Dry Eye Relief in 30 Days - Guaranteed! Dry Eye 30 Day Challenge = Ultra Dry Eye TG + the Dry Eye Compress with HydroHeat Machine-washable cover = improved dry eyes or your money back! Our Dry Eye Starter Kit and Ultra Dry Eye TG have been clinically studied and most patients experience drastic improvement in their Dry Eye symptoms in just 30 days. In fact we offer a 30 day Money Back Guarantee; improve your dry eye symptoms in 30 days or your money back! How Does the Money Back Guarantee Work? Simply have your patients complete the Ocular Surface Disease Index (OSDI) survey (takes 2 minutes) before they begin taking Ultra Dry Eye TG to get a baseline score, schedule a follow up visit 30 days later - have them take a follow up OSDI. If their OSDI score doesn't improve contact us at 1-888-809-6424 to request a full refund. It's as simple as that! Dry Eye Kit includes: Ultra Dry Eye TG, 2 months supply, Dry Eye Compress, use daily for 5 minutes. 30 Day Money Back Guarantee- Improve Dry Eye Symptoms in 30 days or your money back! 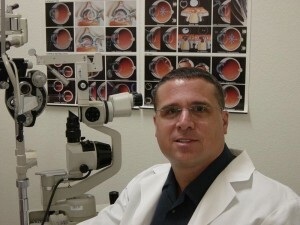 Dr. Hutchinson discusses Dry Eye Syndrome and his experience using Ultra Dry Eye TG. Dr. Hutchinson discusses the benefits of Triglyceride Omega-3 vs. Ethyl Ester fish oil.